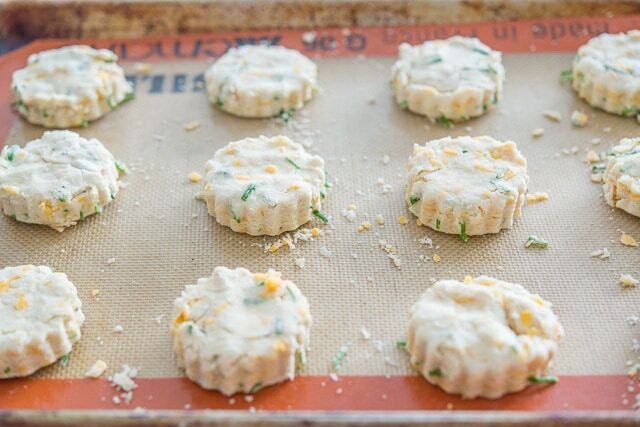 No special tools are required for these simple Cheddar Chive Scones. 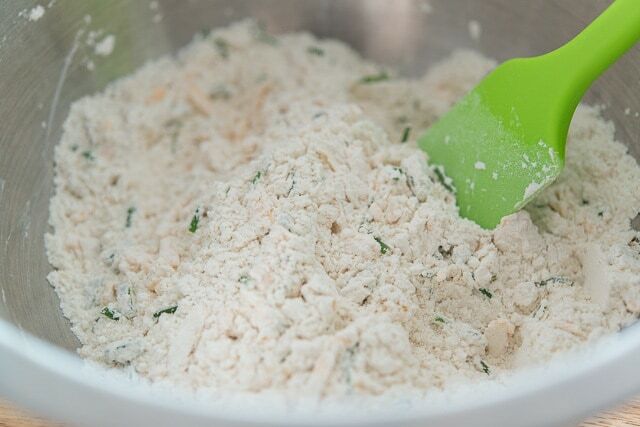 They’re made only with flour, cream, cheddar, chives, and a smidge of baking powder, sugar, and salt. 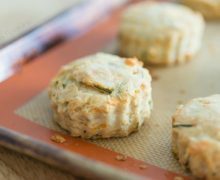 If you’ve been around Fifteen Spatulas for a while, you should be no stranger to scones, biscuits, or the cheddar + chive combination. They are some of my favorite things, and last weekend I had a craving for some scones. It had been too long! 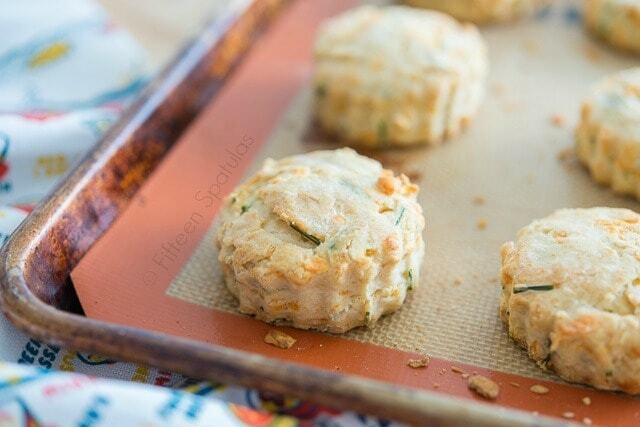 I’m realizing as I’m putting the final edits on this post, that these totally look like biscuits instead of scones (though they are in fact scones). The reason? I grew up eating these wonderful Sconehenge scones in the Bay Area, and instead of triangles, their scones are these round, soft biscuit-looking scones. I truly miss eating them, and am looking forward to eating some when I’m home for Christmas later this year. But whether you cut these scones into rounds or into triangles, they’re delicious! 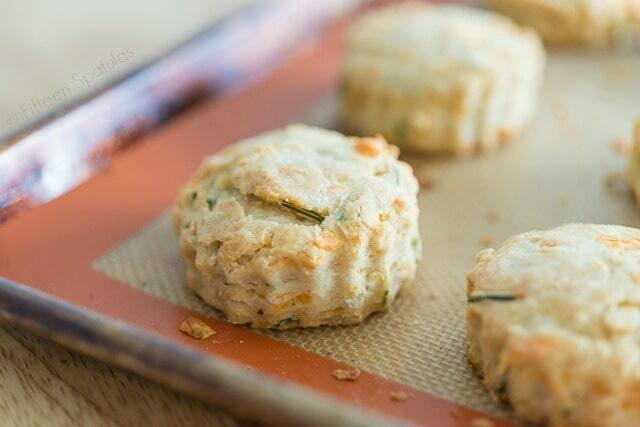 No special tools are required for these simple Cheddar Chive Scones. 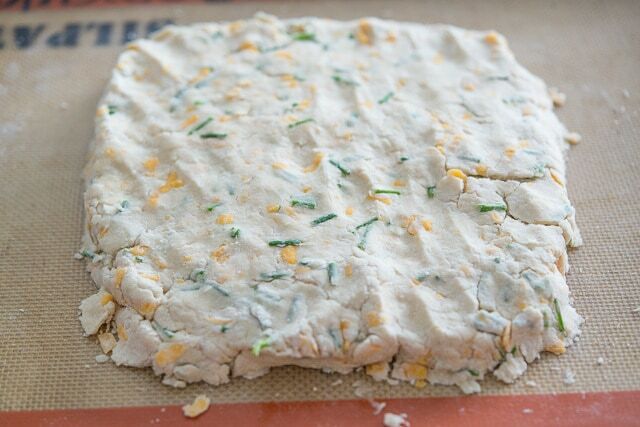 They're made only with flour, cream, cheddar, chives, and a smidge of baking powder, sugar, and salt. 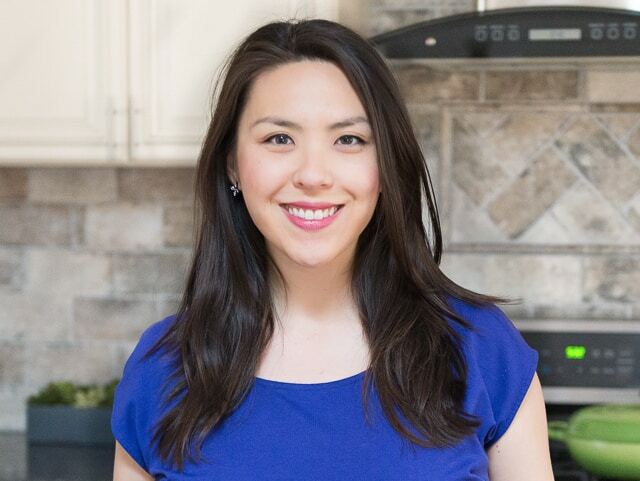 Preheat oven to 400 degrees F. Line a sheet pan with parchment paper or a silicone mat. 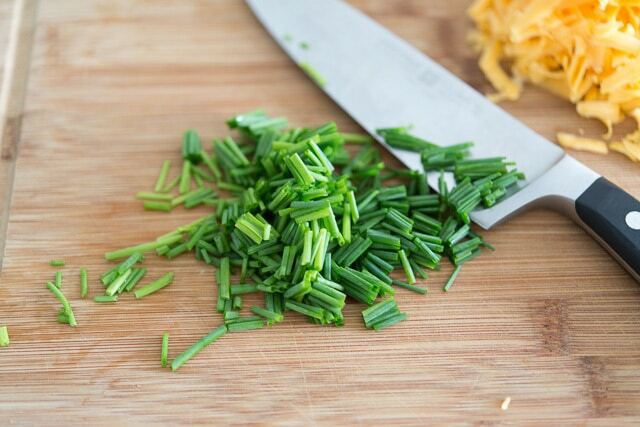 Whisk to combine the flour, baking powder, sugar, salt, cheddar cheese, and chives. Make a well in the center and add the heavy cream. 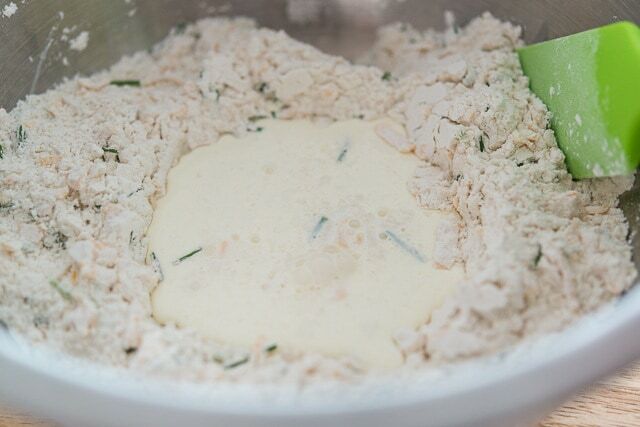 Gently toss the dry ingredients into the liquid, gradually moistening the dough. Take care not to overstir or work the dough too much, or the scones will be tough. 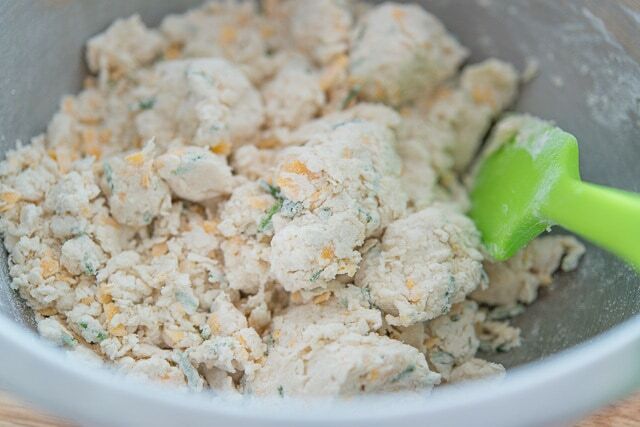 Shape the dough into a square and cut the dough into pieces, either into 12 triangles or 12 pieces cut with a metal cutter. 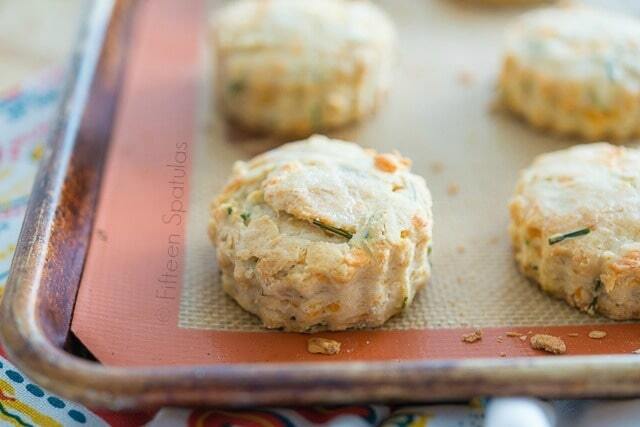 Place the scones on the sheet pan and bake for 15 minutes, until the dough reaches 190 F. Enjoy! So irresistible! I need to make these soon!